As I plop down on the couch to write this on Thanksgiving Eve, the Michigan State game is playing on the TV for the second night in a row for no better reason than it’s my favorite Husker game in years. A couple seasons down the road, this game won’t even be a blip in college football history but in the annals of Husker lore, it will be forever remembered as the one where the Big Red ship was finally righted. 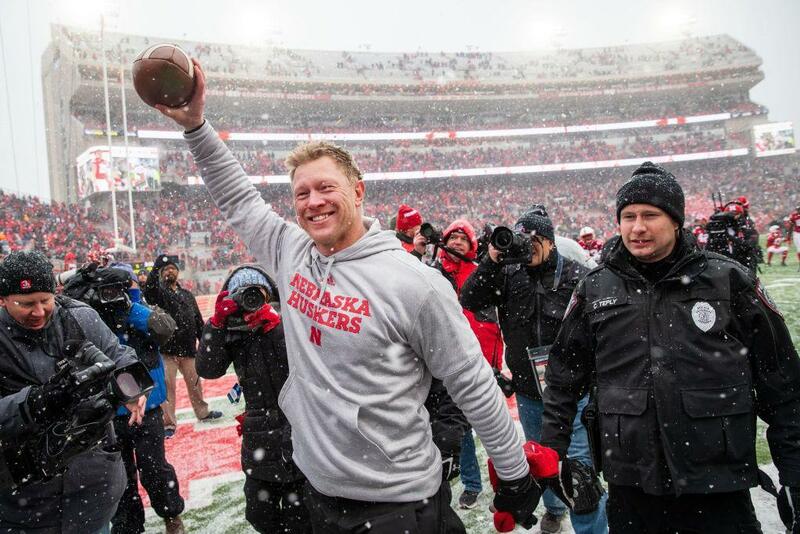 It takes a special group of fans to pack a stadium on a bitterly cold November morning to see their 3-7 team play a meaningless game but Husker Nation showed up like they’ve done for the past 56 years. On this particular Saturday, our never ending loyalty was rewarded by watching a team with nothing to play for put it all on the line and find a way to win. And what a team win it was. When the final whistle blew, never have I felt so proud of a 4-7 team in my life. The Big Ten’s most explosive offense suddenly couldn’t score? No prob. The Blackshirts had their back. Need a true freshman kicker to set not one but two personal records for career long field goals in the span of five minutes off the clock? It’s cool. The kid transformed into a sure footed sniper. No matter how the season ends tomorrow, this team is always going to hold a special place in my heart because these guys proved they truly wanted to be Huskers and put in the work on and off the field to prove it. Even in the unlikely event of a loss, we’re going to have a coach who won’t spend the postgame press conference challenging the media to a fight or daring his boss to fire him. And he certainly won’t make worn out excuses for why his team came up short on the scoreboard. Today, let’s all take a moment to give thanks for the better days that are ahead for Husker Nation.